It says something about the depths of worldwide revulsion to the self-proclaimed “Islamic State” that Western powers such as the US and the UK have been sitting at the same table with Iran to discuss how to defeat the deadly Islamist movement that has taken control of a large part of Iraq and Syria. The US has said that the rise of IS, a radical jihadist Sunni movement, is not only a threat to the region, but to the whole world. Iran, as the regional Shia Islamic power, is a sworn enemy of IS because IS regards Shia believers as heretics who should be killed. So it’s perhaps not surprising that, on this basis alone, the British Prime Minister David Cameron met with Iranian President Hassan Rouhani at the UN General Assembly recently – the first such meeting since the Iranian Revolution in 1979. 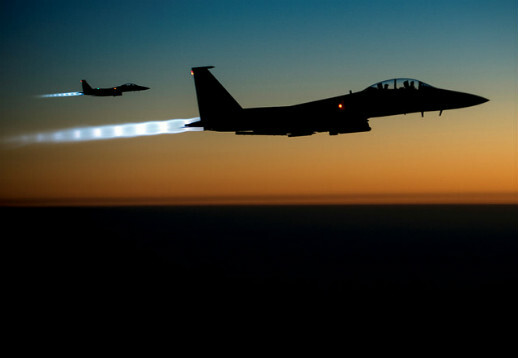 Their meeting came soon after the US and its allies from 10 Arab countries, including Egypt, Iraq, Jordan, Lebanon and six Gulf states, began air strikes against IS in Syria in a coordinated military campaign to hamper IS after the beheadings and threats against westerners, most specifically America and Israel. While US Secretary of State John Kerry had opposed Iran’s attendance, in Paris in September, at an international conference on helping the new Iraqi government fight IS, he stressed that he was still prepared to discuss Iraq and Syria with the Iranians. Iranian officials, meanwhile, insisted they had rejected multiple invitations by the US to join the coalition. While such “enemy of my enemy is my friend” tactics might seem unlikely to some, others do not want the West to forget that the Islamic Republic of Iran shares some of the same beliefs, if not methods, of IS, which have led to religious intolerance and ongoing human-rights abuses. A World Watch Monitor report in September outlined the specific threats of IS and explained its desire to extend its self-proclaimed caliphate beyond the borders of Iraq and Syria, ultimately over the entire globe. Those ambitions were reflected in the name change from Islamic State of Iraq and the Levant, or ISIL, to simply Islamic State, or IS, a name that regards no boundaries. The majority who have been affected are non-Sunni Muslims, but non-Muslims such as Yazidis and Christians have also been targeted. 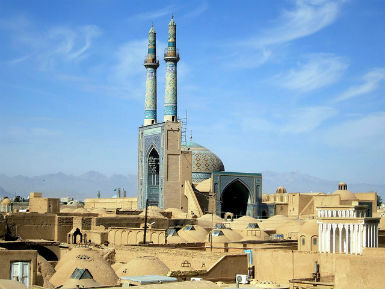 A ‘caliphate’ is a Sunni concept, so Shi’ite Iran would not describe its aspirations with the same language, but Shia Islam has global aspirations as well. According to Iranian Reza Kahlili, a former Iranian Revolutionary Guard member who then continued to work as a CIA agent, Shia Muslims are awaiting the coming of the twelfth imam, who is promised to establish a global Islamic empire. “Ever since the Iranian Revolution of 1979, the Islamic rulers of Iran have declared themselves representatives of God on Earth, believing their mission is to pave the way for the reappearance of the last messiah, the Shiites’ twelfth imam Mahdi,” Kahlili said. On his website in 2011, Kahili said a video distributed within Iran indicated the Arab Uprisings were one of the signs that the coming of the twelfth imam is near. He said it was produced by an Iranian organization called “Conductors of The Coming” in collaboration with the Iranian President’s office and the Basij, the Iranian Paramilitary Force. At the beginning of September this year, in the most recent biennial national meeting of Iran’s Assembly of Experts, Supreme Leader Ayatollah Ali Khamenei said the world is entering a “new order” and that the officials in the Islamic Republic need to be aware of the changes and prepare to play a role in the new context. He said the nation has had years of strategic investment in gaining more power outside Iran, for example through Hezbollah, a Shi’ite Islamist militant group and political party based in Lebanon. “IS has a dream to dominate Lebanon and to announce it as a part of the Islamic State and I believe they would be in Lebanon right now if Hezbollah hadn’t been helping our forces fight IS at our Northern border,” said Lebanese Archbishop Elias Nassar, speaking to World Watch Monitor. However, soon after IS’ beheading of the American journalist James Foley, former US Secretary of State Henry Kissinger told National Public Radio that , “Iran is a bigger problem than Islamic State” because of its ambitions to Islamic empire. 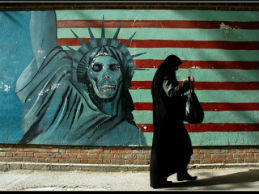 However, Amir Basiri, an Iranian human rights activist, argues it is time for the international community to recognize that Iran is the　common denominator of chaos　in the Middle East. 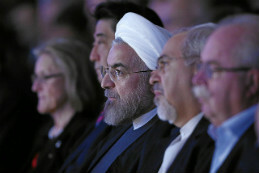 “Iran is the main beneficiary of the Islamic State’s rampage,” Basiri wrote in a column for Forbes. Shia Muslims are the minority sect of Islam, constituting only about 12% of the world’s 1.3 billion Muslims. So far, the Shiite population in Iraq has not accepted Sunni IS. “It is important to stress the large differences between Sunni and Shia Islam,” said Henriette Kats, an analyst at Open Doors International, a global charity that supports Christians under pressure for their faith. “What I do see is that throughout the years, Iran is has been trying to unite Muslims, focusing mainly on their Shia allies such as Iraq, Syria [President Assad is Alawite, an offspring sect of Shiite Islam] and Hezbollah, while also funding Hamas, which is Sunni, in their aversion to, and battle against, America and Israel. As different as Iran — a sovereign state comprising the structures of a national society — may be from the IS incursion, they share an adherence to sharia law, the moral code and religious law of Islam, though they differ on their interpretation and practice. Deriving from a variety of sources, including the Islamic holy book, the Quran; and the Hadith, the sayings and actions of the Prophet Mohammed, sharia legal processes are dramatically different from Western legal processes. For example, in Iran as in many other Islamic countries, Muslim citizens who choose to convert from Islam are considered apostate, and subject to the death penalty. However, Rouhani’s promises have not translated into any major improvements regarding human rights and freedom of expression, according to U.N. Secretary-General Ban Ki-moon’s annual report to the General Assembly on human rights in Iran. Mohabat News, an Iranian news agency, reported that the former minister of intelligence from the administration of Rouhani’s predecessor stressed that evangelical activities are illegal in Iran and must be stopped. Earlier this year, Human Rights Watch also released a scathing report outlining how discrimination against women and religious minorities has continued under President Rouhani’s government. In Iran, detaining Christians is common practice. According to Open Doors, persecution of certain religious minorities has intensified since 2005, and as of September, 75 Christians were in jail for faith-related reasons. Some report being harmed while in jail and said Christmas is a period of increased arrests because of a higher number of house churches being raided. 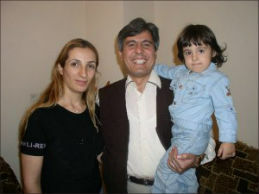 Pastor Behnam Irani and his family. On Sept. 30, both charges were dropped, but now all three — Pastor Matthias Haghnejad, Pastor Behnam Irani and Deacon Silas Rabbani — have been tried for “action against national security” and “creating a network to overthrow the system,” and are awaiting the verdicts. According to Christian Solidarity Worldwide, a human-rights watchdog and advocacy network, the dropping of the death penalty against the three Christians occurred one week after a 37 year-old Muslim man, Mohsen Amir-Aslani, was executed for “spreading corruption on Earth” and “heresy,” after he had characterized the Biblical story of Jonah as an allegory. “Some in the West are calling for renewed relations with Iran in the face of the threat posed in Iraq and Syria by ISIL. However, it is worth noting that Mr. Amir-Aslani was one of six people executed [in Iran] on the same day that the UK Prime Minister met with President Rouhani at the United Nations,” said CSW’s Chief Executive, Mervyn Thomas. Middle East Concern, an advocate for Christians in the Middle East and North Africa, said that since the Iranian Revolution of 1979, possibly more than 8,000 people have been executed under the charge of “spreading corruption on Earth.” Those caught in the snare range from former members of the Shah’s government to opponents of the current regime. The last Iranian Christian officially put to death by the government was executed 24 years ago, notes Kats, the Open Doors International analyst.